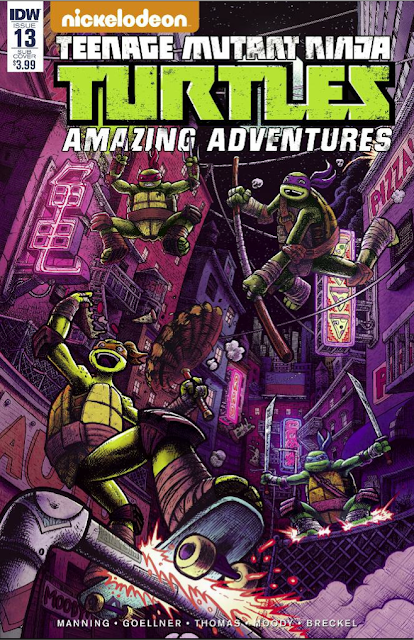 But in all the con craziness, I neglected to mention my newest release, Teenage Mutant Ninja Turtles: Amazing Adventures # 12. I penned a back-up mystery feature for this issue, illustrated by Jamal Peppers that I'm really happy we got to do. Expect twists upon twists! 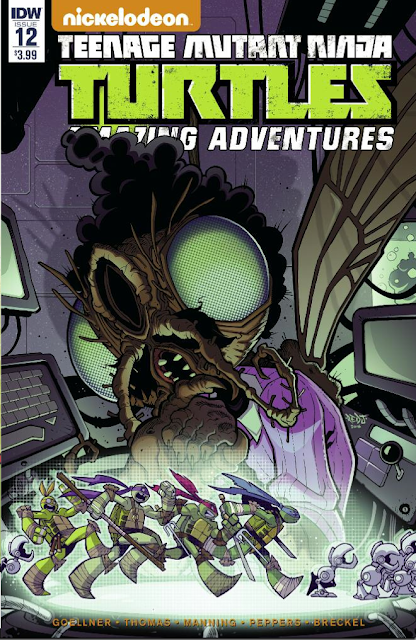 The issue also features a Muckman story by writer Caleb Goellner and artist Chad Thomas, and a cover by my future Batman/TMNT collaborator, Jon Sommariva. 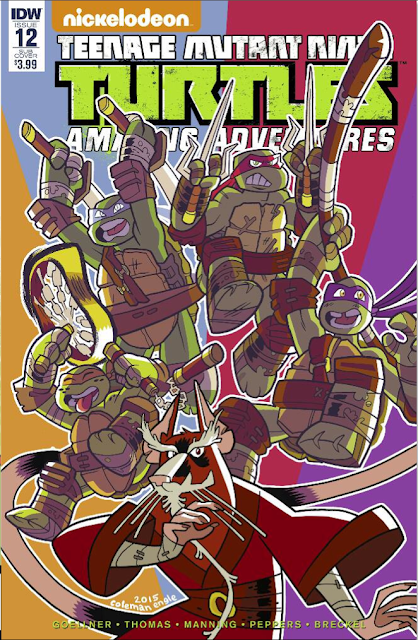 And don't forget the variant! And that's not all! Out this Wednesday is Teenage Mutant Ninja Turtles: Amazing Adventures # 13, the first part of my new two-part tale with artist Chad Thomas, a story featuring a new mutant villain we co-created called the Drip. The issue also includes a back-up tale by the team of Caleb Goellner and Buster Moody, and another great Jon Sommariva cover. So my best advice? 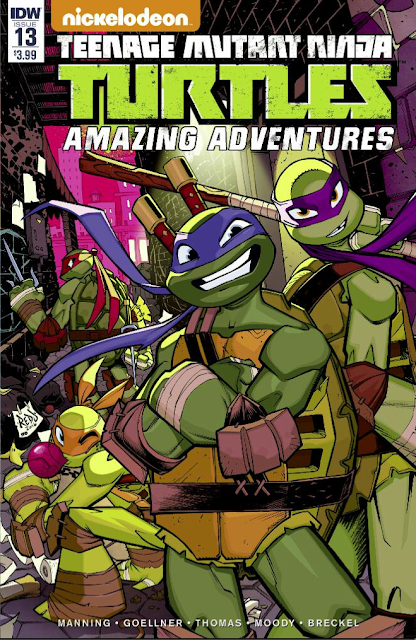 Head to your local comic shop and get studied up on the Turtles. 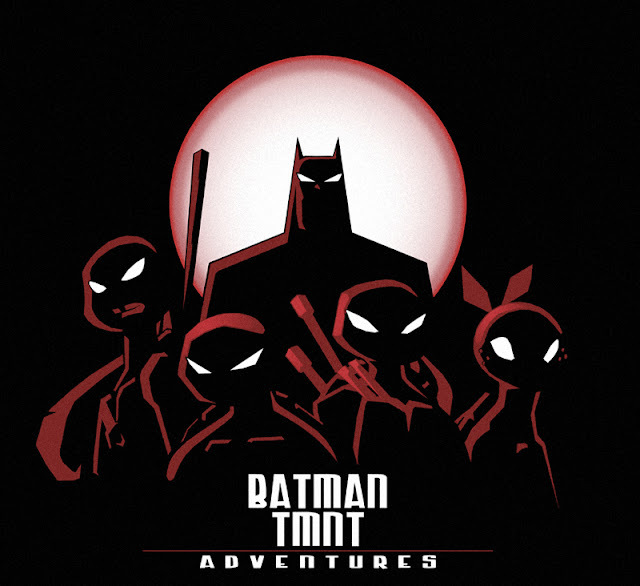 You'll thank me when Batman/TMNT Adventures hits the stands! Get excited! 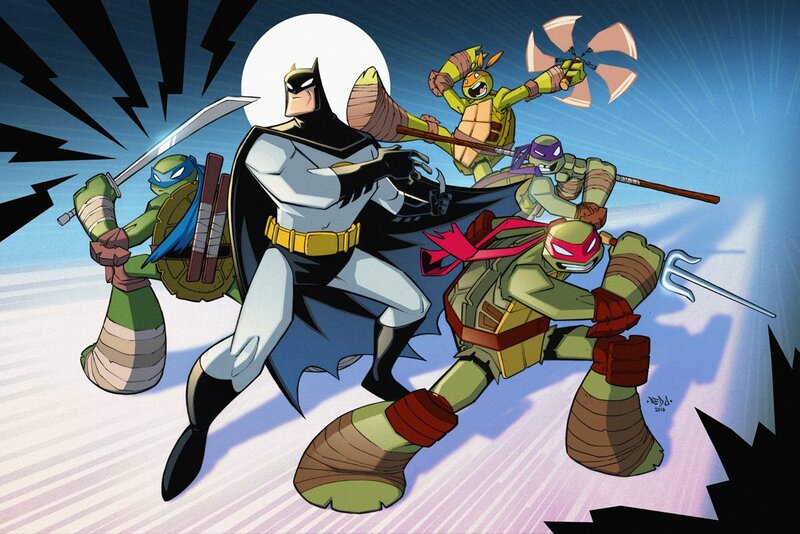 It's gonna be great!